Mobile devices are transforming how we interact with each other and the world. Tapping mobile potential doesn’t have to take sorcery. Don’t let your efforts to keep up create a fragmented customer experience. 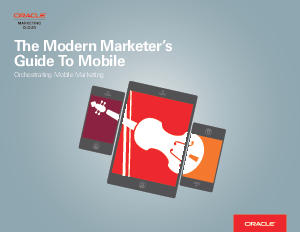 You need an orchestrated way to plan, respond, and thrive in the new mobile marketing world. Read how.